Mission: To provide a safe, fun, and exciting retreat environment where participants can get the most out of their experience, get close to nature, and truly relax. 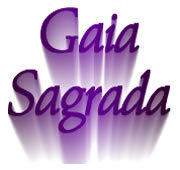 Gaia Sagrada Spiritual Retreat Center is here to provide a safe, nurturing and natural environment for spiritual growth and fellowship. 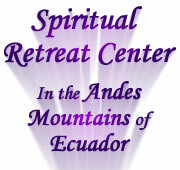 We are here to facilitate an enjoyable retreat and spiritual living experience for all participants. To provide a safe, fun, and exciting retreat environment where participants can get the most out of their experience, get close to nature, and truly relax. To live as gently on the Earth as possible and show by example how it can be done. 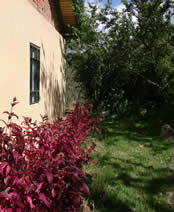 Gaia Sagrada uses eco-friendly methods to make as little impact as possible on the Earth. To give every participant an environment in which to practice the art of living in the now, practicing unconditional love and compassion, and diving deeply into self-inquiry and self-introspection for spiritual growth. To provide incredible workshops, classes and intensive retreats for the healing of body, mind and soul, bringing the participant into direct communion with God, All That Is. To give many exercises and techniques for spiritual growth which can be utilized in daily life when the participant returns to his or her place of origin or travels onward. To provide Adventures In Consciousness in as many ways as possible, through meditation, yoga, spiritual lifestyle, and communion with oneness. To create and use sustainable farming methods in order to provide organic food for Gaia Sagrada events and community, as well as trade and barter with our community in Llazhatan. 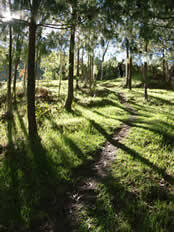 To create a peaceful, harmonious community that promotes health and well-being for all in mind, body and spirit. Gaia Sagrada uses conventional methods of solving conflict, and serves as a good example to others of what a spiritually focused community can be. To support Llazhatan community by providing jobs to the country folks who live nearby, provide English classes to the kids in the area so that they have an advantage poor people don't normally have access to, and bring money flow into the community through work, donations, and share our philosophy with those who are interested. Mission: To create a peaceful, harmonious community that promotes health and well-being for all in mind, body and spirit.